Bamboo, Tin and Callabashes is an exhibition currently being held in the Leopold museum in Vienna. It’s just a small exhibition, but still very interesting, fascinating objects and great pictures. In this exhibition, the Leopold Museum will be showing over 250 items from the one-of-a-kind toy collection of Austrian ethnologist Dr. Fritz Trupp. The items come from Africa, Asia and Latin America, and they were created from everyday materials by children for their own use. One thing particularly interesting is how skilled the children get in creating their toys. Often they are made from scrap material which the children just find on the streets – or they even search these materials on waste-yards. Several of the objects reminded me innovation of the Afrigadget kind of innovations. 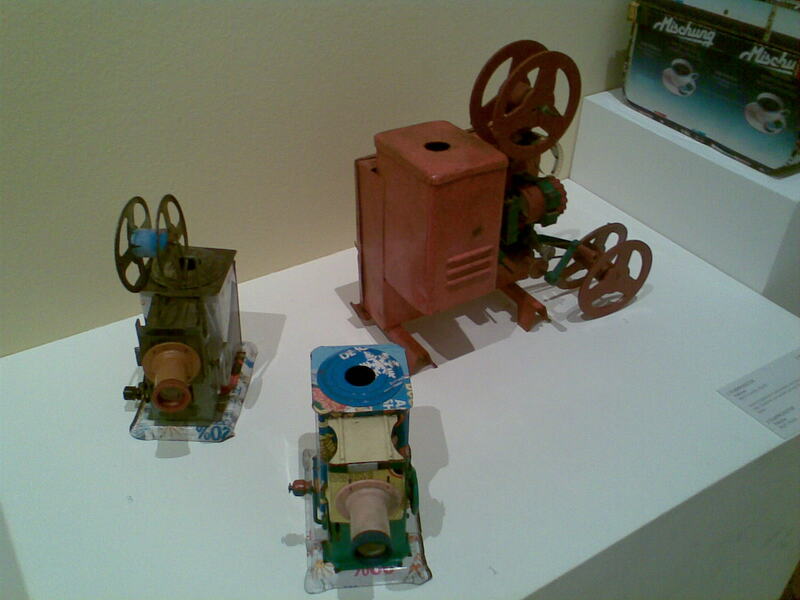 The picture below shows movie projectors which actually work – with a candle or flash light. 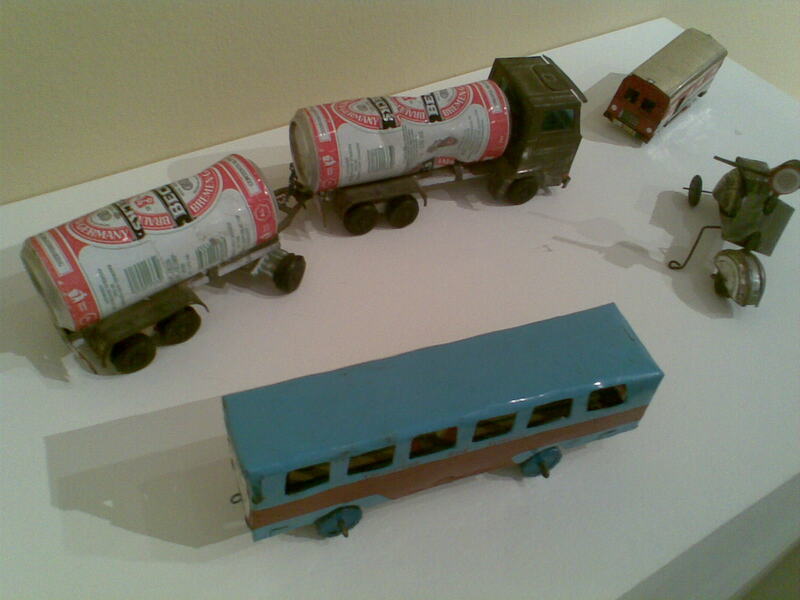 Another interesting aspect is what actually moves and inspired the children to create their toys. The picture below is pretty sad – children building toy weapons, helicopters or chainsaws.